Top: Students enjoying the photo booth at the Lunar New Year Celebration. 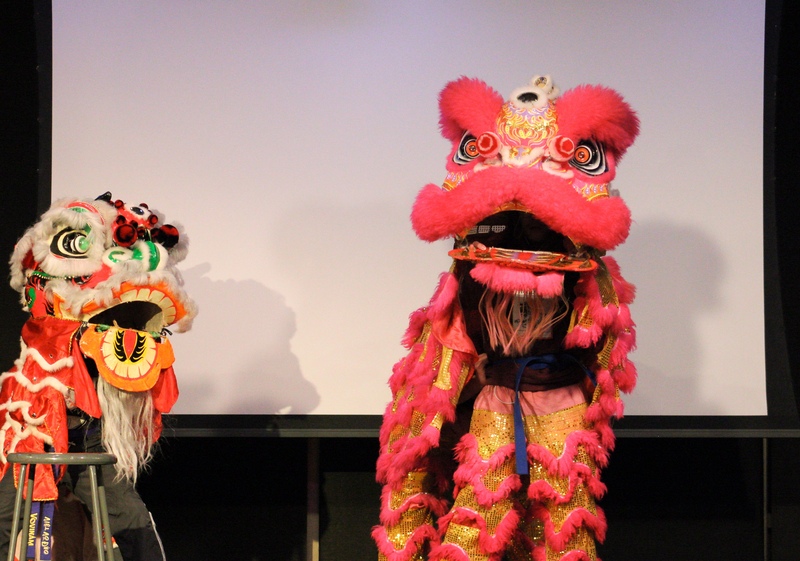 Bottom: The Lion dance is a traditional part of Chinese New Year celebrations. 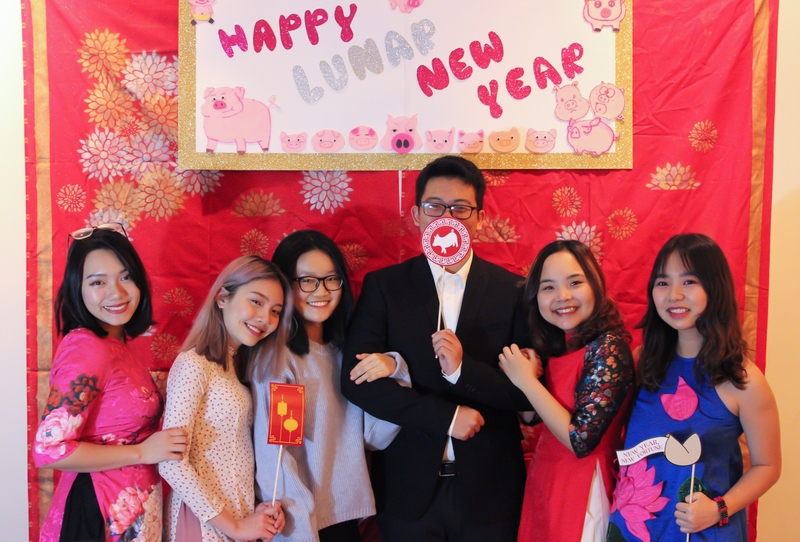 Top: Students enjoying the photo booth at the Lunar New Year Celebration. Bottom: The Lion dance is a traditional part of Chinese New Year celebrations. Photos by Caroline Garrow.